Today I once again remembered the notorious phrase of Misir Mardanov, "There are both literate and illiterate teachers in Azerbaijan." I involuntarily add to myself, "As well as those compiling textbooks, and the number of the illiterate ones is much bigger." The most interesting thing is that no one can handle this contagion called "howlers." Everything possible was tried, but in vain! Not only parents, but also specialists in linguistics and pedagogy, as well as independent experts sound alarm bells. Thus, associate professor at the department of social sciences of Baku Teacher Training and Retraining Institute Aydin Aslanov said that history textbooks for secondary schools in Azerbaijani and Russian are full of semantic, scientific and technical errors. "The reason of mistakes in history textbooks passing from one year to another, from one edition to another is that the same scholars write the textbooks. The Ministry of Education that gives those historians the job to work on textbooks does not allow others to edit or review those books, and the result is that the same mistakes pass to new editions year after year. The educational and methodological council that comprises scholar-authors has around 15-20 members. Each member of the council writes a specific textbook for one of the grades of secondary school. Discussing the new textbooks, members of the council vote for one another and as a result, they become permanent authors of history textbooks," Aslanov explained the reason why mistakes are repeated in textbooks. "The information about the mistakes in textbooks can be published in one or another edition. 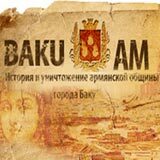 School textbooks are republished once every four years as Azerbaijan's Ministry of Education is interested in publishing textbooks without mistakes and errors. However, subject curriculums are introduced step by step in the country's secondary education sector. That is why the textbooks are compiled and assessed taking into consideration the new standards in the education area. Certain mistakes and errors can be made while compiling new school textbooks in transitional period like this. The most important thing is to work on those mistakes and compile textbooks based on the scientific approach. Currently, the State Students Admission Commission keeps monitoring the school textbooks. The monitoring results will be sent to Azerbaijan's Ministry of Education". As you see, he said much and at the same time, he said nothing. Indeed, only those working at our Ministry of Education can speak this way. I apologize to my readers in advance for the idiotic beginning of the paragraph. However, many would consider these "pearls" a funny anecdote. I would also think so if these words, which made hundreds of thousands of Facebook users scream with laughter, did not belong to a teacher of elementary classes who works at one of the schools in the capital. Meanwhile, she herself does not think they look like an anecdote. Supplies the Caspian Sea with fish. Our coat of arms is more beautiful with an oak branch. The best ash in Ganja. By breaking the chain with a sharp pick. Cowberries, eggplants (cowberries and eggplants – that's cool! A new ad of Fitolax). Sing songs there. (I agree as regards the cricket and nightingale, I agree with difficulty as regards the sparrow, while it is extremely doubtful as regards the little owl). The parents of this teacher’s students say that the first part of this “artwork” (“ABC”) was even worse and it was simply thrown away as soon as received. After learning the “ABC,” the children should recite these “verses” along with their teacher, as well as use them to fill in tests and crosswords. By the way, the ABC describes a magician attacking the henyard and chickens and ducklings learning by the curriculum (!!!!!!!!!!!!!!!!!!!) to cope with him. It should be noted that the ABC and its electronic version, from the section Heritage, are approved by the Ministry of Education of Azerbaijan Republic (10.07.2009, №909). I understand that it is not an easy job to compile textbooks, it is something that takes much time and work. But there is another quite logical way out – if you can’t do it, don’t start! For no one is pounding his stick on the back of your head. Why make a laughingstock of yourself? I am not going to speak about the well-known howlers that have become the talk of the town – about the body between the two cerebral hemispheres, about the whale that lets down its limbs into the water, sniffling with its nostrils, about the moufflon which is a mountain sheep. It is as old as time. But the paradox of my favorite subject is that history has a habit of repeating itself. I addressed this topic several years ago. I wrote about the literature textbook (6th grade) for comprehensive schools where teaching was in Russian, approved by Azerbaijan’s Ministry of Education by order № 624 on July 31, 2006. The textbook looks comfortable to use and is nice to the touch. The selection of literary works is also pleasant to the eye – works by Azerbaijani and Russian authors of different periods, as well as foreign poetry and prose are presented harmoniously. As the saying goes, it is not shaky, but smooth. In the very first paragraph, we read that literature is the art of word, as well as "study of human nature," as great writer Maxim Gorky said. Of course, we agree with it as literature has always been one of the most favorite subjects for us, Soviet-time students. However, the "art of word" became sharply distorted in the 6th grade literature textbook when we started reading the explanations of one or another term that a child may not understand. However, I think that given the current edition and explanations, some terms will remain incomprehensible to poor schoolchildren. For instance, the word "altar" (престол – Russian) which is explained in the textbook as a table in the center of the temple. The word "sculpture" (Russian – изваяние, извяание – in the textbook) is defined as STATUS. But maybe извяание is indeed a status? For instance, for those who wrote and approved this nonsense. The interpretation of the word "be disconcerted" (конфузиться – Russian) – стеснятьсяэ, gives unspeakable joy. It is both funny and vivid, and is based on the local dialect. Besides, the children will have a good laugh at the lesson. I am not going to specify all howlers and all grammatical, spelling and stylistic mistakes this disgraceful textbook is larded with. It only remains to feel sorry for those who learn the great art of word with a vapid visual aid like this. As it turned out, the children have more than once asked their teachers questions about the rubbish published in the literature textbook. Some teachers shrug their shoulders in perplexity, others take a pencil and start editing those parts where there are too many howlers. I am attaching photos to my article so that everyone can see and at the same time guess what it could mean. For instance, the word илйгдоедство (no one has so far been able to decipher it). I think the writers, proofreaders and editors of this textbook should announce a competition under the title Guess the Word with a big money prize (also, I know that our proofreader will for sure call names when he starts correcting my article). How did it happen that the illiterate textbook appeared on the table of 6th grade students? For as I mentioned before, it was compiled by quite distinguished and celebrated individuals – teachers, editors, professors, and was approved by the Ministry of Education. I spoke to reviewer Aida Ismailova, Russian language and literature teacher at secondary school №27. She said that reviewers, as a rule, are not responsible for proofreading and composition. When a textbook is compiled, the main task of the reviewer is to look at the meaning of the text and select authors. "Of course, we also checked the references and took into account the fact of grammatical mistakes and misprints; we made notes and sent that to the Ministry. Apparently, our corrections were simply ignored," Ismailova said. In conclusion, she advised to look through the Russian language textbooks for the 6th grade which also teem with misprints and gross errors. 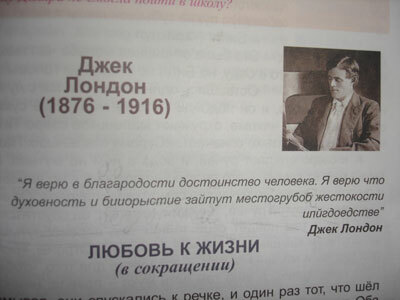 I could understand it if the problem was limited to Russian-language textbooks as it is not a native tongue at present. 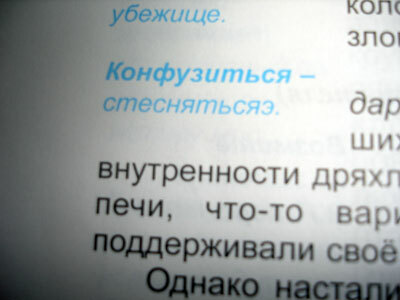 But there are also gross errors in textbooks in Azerbaijani! Given the fact that textbooks are republished once every four years, then this nightmare called literature textbook "rejoiced" and "taught" children up to 2010? 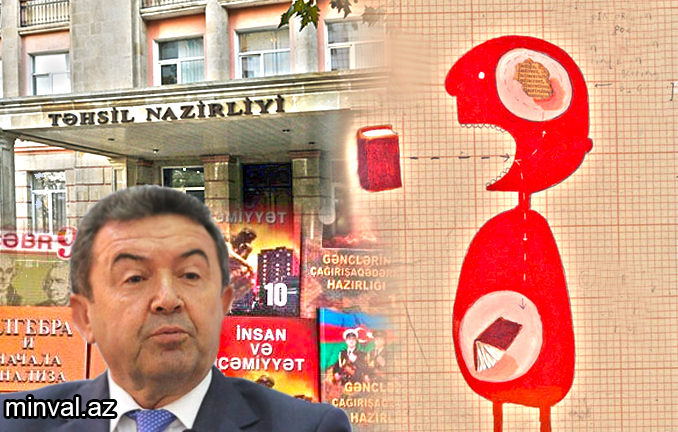 But despite the complaints and wrathful and critical articles in the press, the Minister of Education is not depressed, he even gave his next instruction – to hold joint meetings and discuss the problems with the departments taking part in the preparation of textbooks for secondary schools in Azerbaijan in order to eliminate the mistakes. According to Mardanov, these departments have already conducted a series of meetings that pointed to certain shortcomings in textbooks. “Serious measures are taken to eliminate them,” said the Minister. He did not specify, however, what measures those were. P.S. It is past time, Misir Jumayevich, it is past time. But will it be of any use, or again “we talked and dispersed?” I remember that at the same meeting, you said something about fighting fake diplomas? 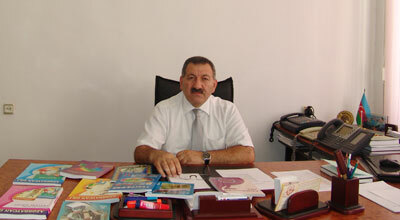 Does it mean that the number of illiterate teachers in Azerbaijan will decrease? Or am I mistaken again? Well, as the saying goes, we shall live and we shall see. But it will be quite a different story.